You will need the items below. 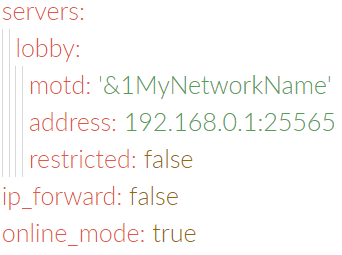 Why can&apos;t I have three servers on a bungee network?Players having one hub server and one core server would be the same as having just one regular server in general. On multicraft ensure you own at least 4 servers. If you don&apos;t own that much we recommend you purchase more. 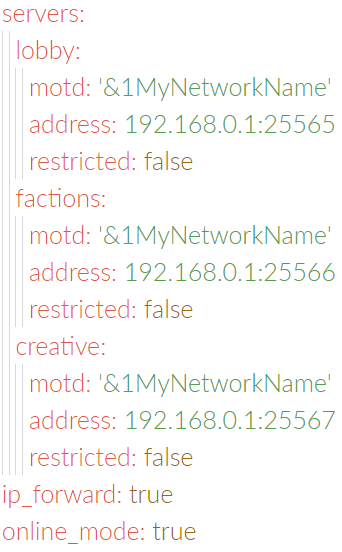 Once you have all the servers on multicraft we recommend you rename them so they can be more organized for you and us the Aquatis team. We recommend you name the servers as below. One example could be Exorath // Bungee. Review the image below to get a great example. On multicraft, change the server jars to the ones you want to use for the network. Usually, the bungee server has 512MB ram assigned to it as it has low usage. You set the bungee jar for one of the servers with low ram and the rest of the servers as spigot as its recommended. Ensure the bungee server is completely empty. Assign the bungee server the latest bungeecord.jar on our jar list and the rest spigot server jars. Navigate to the bungee server and enter the FTP. Click edit or download the file config.yml as its the file that we will be configuring. Once you open the file you will be shown a lot of items. We will be going over the basics. if you need more help you could find a great guide here as it will teach you what each component does. Scroll down to the host section. Replace 0.0.0.0:25577 with your server IP. We will not be doing most of the settings as this is a basic setup. Change your MOTD to something cool & unique! Now for the servers part. For each server copy the Lobby section to the restricted. It should look like this at the start. Now make 3 copies for the rest of the servers. The MOTD should match your original MOTD. The address should be the IP address of each of the sub-servers. Leave the rest alone. Allow ip_forward to be active. Change it from false to true. At the end, it should look similar to this but with your own details. Save the file and re-upload it back to the server. Start the bungee server, if the server does not successfully boot, you may have did some formatting wrong as YML is very strict with the formating. We recommend you use a YAML parser to check for errors. This really works! If the bungee server boots. You did a great job! But your not finished yet! 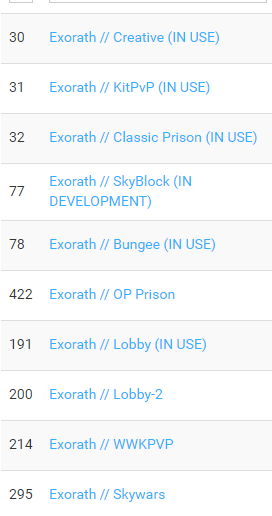 Go to each of the sub-servers under our multicraft panel. Once you reach it on the left of the screen click Files > Config Files. On the list that it gives you click Server Settings, It is usually the first option. Once you click it. Scroll down to Online Mode, change it from True to False. Once you have done that, restart the server. Be sure to do it for each of your sub-servers! Finally, join your server with the bungee ip! If you are still having issues. Contact us on LiveChat!